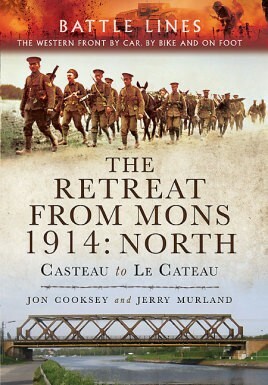 Mons to the Marne, the latest volume in Pen & Sword's Battle Lines series of walking, cycling and driving guides to the Western Front, is the essential companion for every visitor who is keen to retrace the path taken by the British Expeditionary Force immediately after the outbreak of the First World War. All the most famous battle sites of the Great Retreat are featured here. Expert guides Jon Cooksey and Jerry Murland take visitors over a series of routes that can be walked or biked or driven, explaining the fighting that occurred in each place in vivid detail. They describe what happened, where it happened, and why, and who was involved, and point out the sights that remain there for the visitor to see. Their highly illustrated guidebook is essential reading for visitors who wish enhance their understanding of the fast-moving campaign that preceded the war in the trenches. It gives a fascinating insight into the experience of the troops, the terrain over which they fought and the character of fighting itself. As featured in the Stratford-upon-Avon Herald.